Jen Gibbud is a real estate agent raised on the island of St John. After attending the University of San Diego with a focus on International Relations and Philosophy, she decided to return home to the eternal summers of the Virgin Islands where she could indulge her love of the outdoors through surfing, diving, hiking, and more. 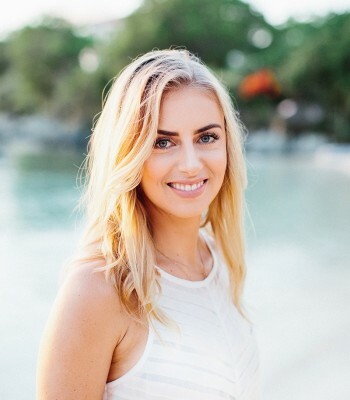 Jen has worked at the Beach Bar in Cruz Bay for many years, keeping her finger on the pulse of St John life, and her background in the hospitality and food & beverage industries has honed her communications and customer relations skills. When her partner Ryan had the opportunity to open a restaurant on the island, Extra Virgin Bistro, it inspired Jen to consider what her future might hold. Real Estate offers the best of both worlds, capitalizing on her lifelong passion for and knowledge of St John while allowing her the flexibility to continue working in the local service industry that she so loves. Jen’s knowledge of the island, its businesses, its markets, and its people enable her to match her clients with their perfect home or business opportunity here on St John.